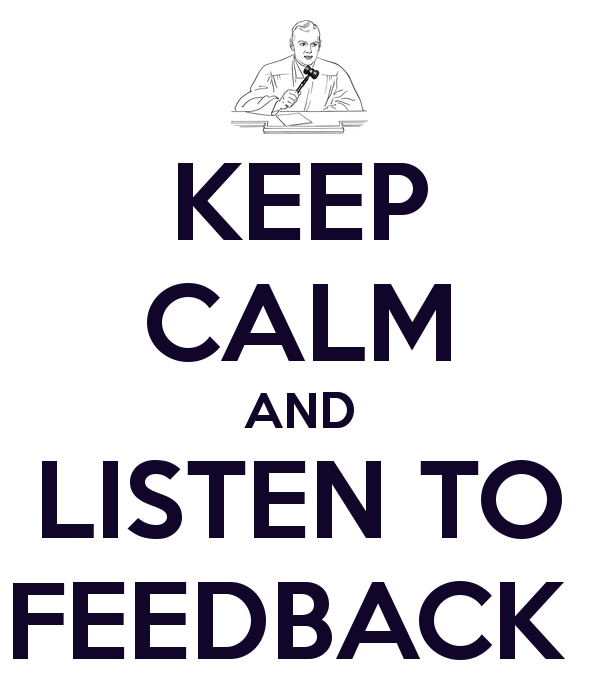 What is the absolute easiest response to an employee’s work? The one thing that they always agree with and takes the least time to prepare and the least follow-up? It’s ‘Great work.’ You say that to someone and they never disagree, never argue, never say, ‘What do you mean?’ and never make excuses or offer explanations. It’s fast and easy and that’s why it’s overdone. Add in those other things we talked about, like believing in positive reinforcement and being liked, and you have the perfect formula for happy mediocrity. I think enough of you that I’m willing to take my time to truly analyze your work and really pay attention. I believe you can get better, that I see you as improving and growing in your work and career. Via Careerealism. Why do judges do this? Sure, some of them are just too lazy or tired to work hard enough to give you feedback, but oftentimes there’s more to it than that. Many of them take the shortcut because you’ve shown them, one way or another, that you won’t take criticism well and they just don’t think it’s worth it to fight with you. If you’re feeling defensive at that last statement, consider for a moment how true it might be. It’s easy to be scared of criticism. Public speaking can be terrifying and, after all your hard work, you do not want to hear that you have come up short in any way. Unlike football or chess, when you put your “speaking self” out there, you’re quite literally opening yourself to criticism of the way you present yourself to the world. That feels really personal. Your defensiveness, however, will hold you back from improving. How to fix it? 1. Remember that the judge is talking about a single debate, not your season-long effort. No one is drawing conclusions about what kind of worker you are or how “good” or “bad” at debate you are based on your performance in one round. Rather, they’re evaluating your choices over the last hour or so and deciding where you went wrong or went right. Don’t give the RFD more power than it deserves. 2. Now that you’re chilled out, act chilled out. If you spend the entire debate over-reacting, panicking, and nervous, the judge will get the message that you’re not really in the state of mind to hear their genuine opinion of how you’ve done. Judges are human – they don’t want to hurt people’s feelings. They do the job they do because they want you to learn an important skill and how to do it better. 3. Show them respect while they’re talking to you. People want to help people who seem to want their help. If you’re devastated, eye-rolling, cutting them off and otherwise shutting down the conversation, it’s unlikely they’ll want to help you. Write things down. Nod occasionally as though you understand. 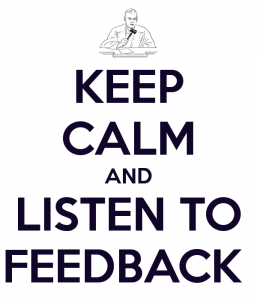 Listen actively and take their feedback seriously. Make eye contact. If you lost, you’re disappointed, but you have plenty of time to be disappointed on the bus ride home. Right now, you’re learning. Stay open, stay friendly, and remember — the quotation above is correct. When a judge is criticizing you, they are giving you the highest compliment possible. They’re showing you that they’re working hard to make you better, that they’re invested in your success, and that they want to help. Happy competing, all – it’s TOURNAMENT FRIDAY!